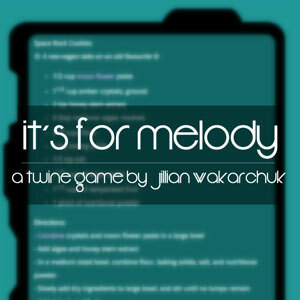 A Twine story about food insecurity in outer space as told through vignettes about two aliens in love. Play it fullscreen! It first appeared in the twine anthology What Can I Get You?.